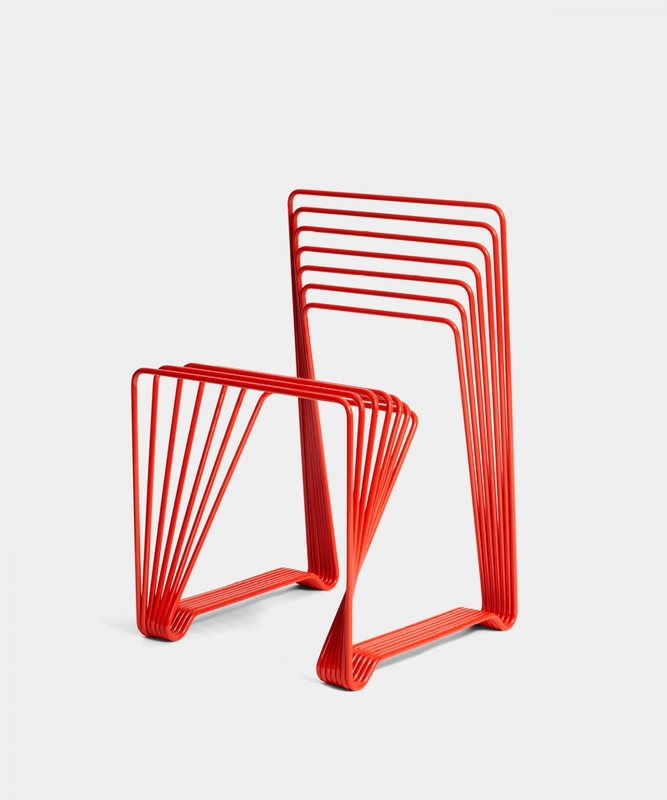 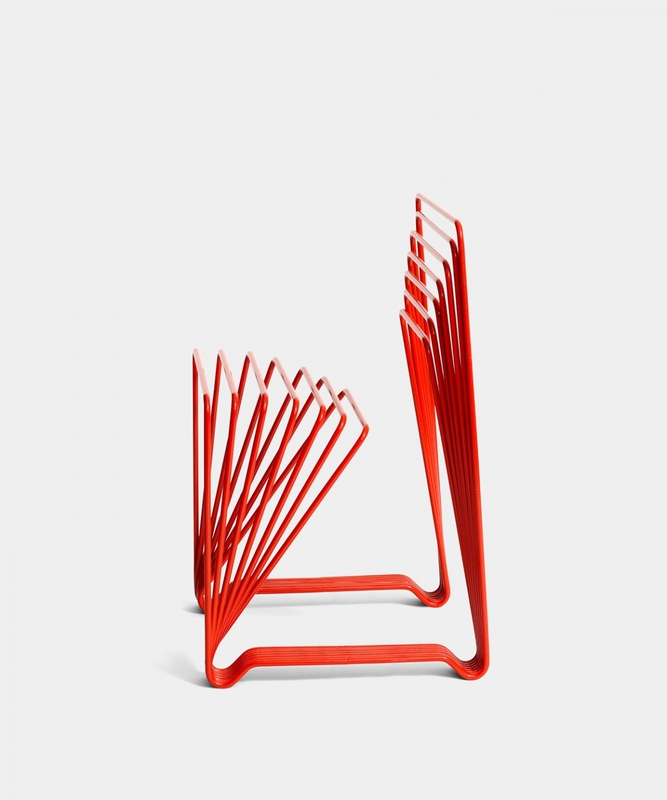 Chair made from seven lacquered steel sticks. 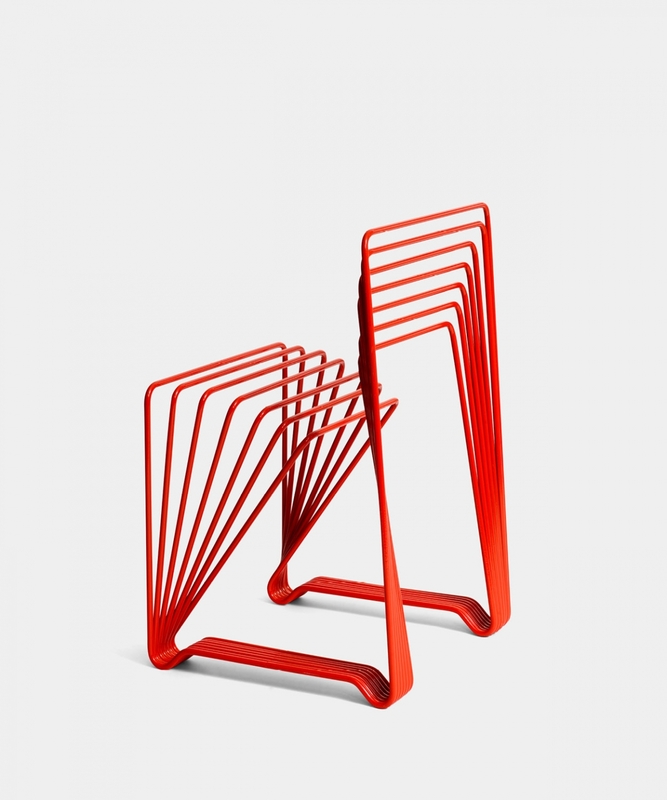 The red chair was originally shown in the “Five playful chairs” exhibition in 2005. 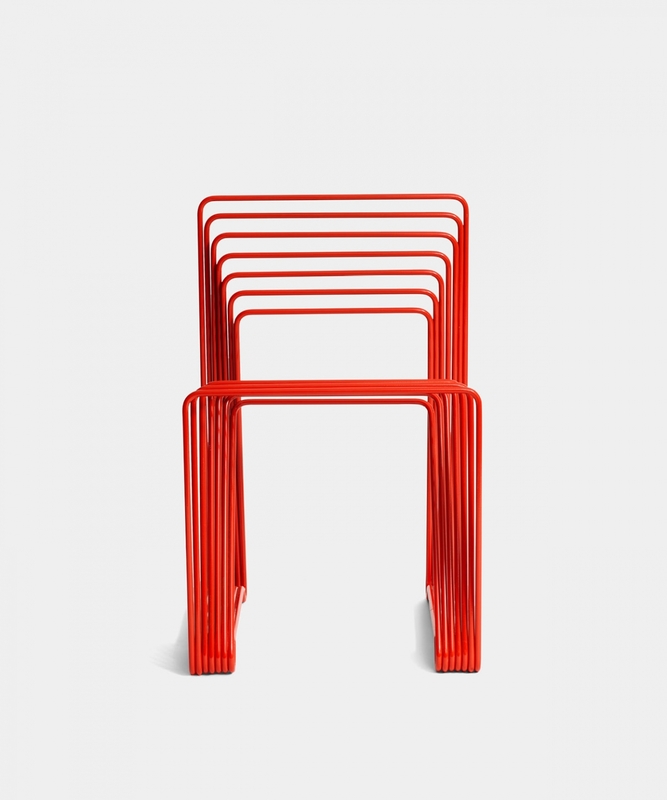 The red chair is made in a limited edition of ten chairs totally and has been acquired by the prestigious Nationalmusem in Stockholm and The Röhsska Museum of Design and Decorative Arts in Gothenburg.